Understanding how to work with your containers can seem a little daunting when you start your 21-Day Fix. 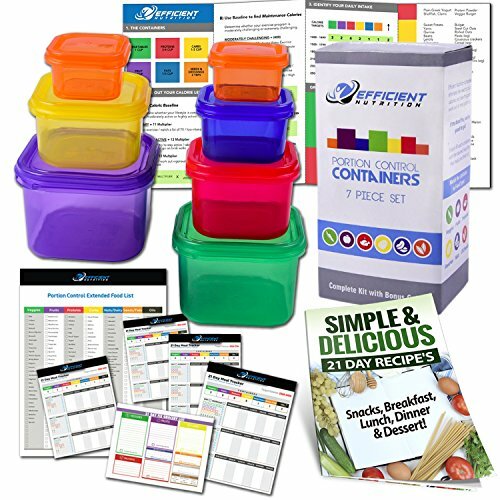 However, after a few days, you’ll probably be ready to combine your container proportions into recipes you and your entire family will love. 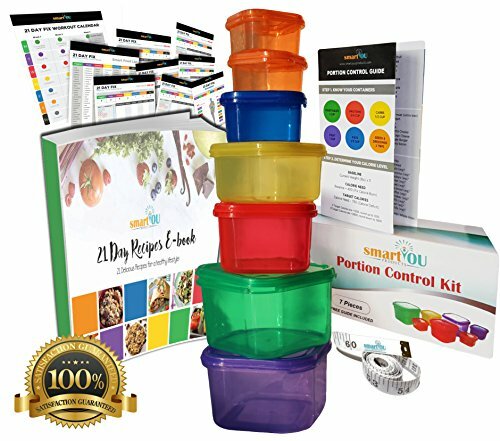 I’ve curated a list of the best 21 day fix recipe ideas for your family that will help you hack your food containers all day long – from breakfast through dinner for any tastes and preferences. Freezer Steel Cut Oats (Confessions of a fit Foodie). For oatmeal lovers, this recipe shows you how to make-ahead, customize, and freeze your steel cut oatmeal. You’ll have no more excuses for passing up oats in the morning. Peach, Goat Cheese and Basil Toasts (The Garlic Diaries). This one had me from the name alone. Absolutely a must try. Cheesy Sausage Quiche (Kris D. Lewis). Don’t think that eating healthy or in moderation means you should give up your breakfast favorites – just 21-Day Fix them! Chicken Salad with Honey Mustard Dressing (Tara S. Porter). Chicken salad is a quick, easy, and delicious lunch any day of the week. This recipe features a tasty dressing that shakes up a ho-hum chicken salad and keeps you on track. Chicken Fried Rice (Melinda Besinaiz). Chinese food is a weakness. A salty, artery clogging weakness. Don’t give up your love; this recipe transforms typical Chicken Fried Rice in to a 21-Day Fix-friendly lunch or dinner. Chicken Baked Sweet Potatoes (Seay Stanford). Twice baked potatoes might seem like they’re off limits but this updated version offers a healthier version you’ll enjoy all week. Poached Eggs Over Roasted Asparagus with Lemon Vinaigrette (The Garlic Diaries). If you’re looking for veggie friendly comfort food, you cannot go wrong with this one. Whether you eat it for breakfast, lunch or dinner, you’ll be in love with this combination. Lentil Stuffed Zucchini Boats (Little Spice Jar). During zucchini season, we could all use a few more recipes for this tender and versatile veggie. Combined with high-protein lentils, spaghetti sauce, and a dash of cheese, you’re unlikely to have left overs. Eggplant Roll Ups (Inspired Housewife). If you’ve ever wanted to try eggplant but have shied away, this recipe is a great introduction. By swapping eggplant for pasta, this baked dish will burst out of your oven bubbling with flavor while still keeping you on the Fix. African peanut stew (Motivation Required). This easy crockpot stew transforms common ingredients into a deliciously comforting bowl of hearty stew. It’s vegan too! Crock Pot Pineapple Pork Tenderloin. (Key Ingredient). The classic combination of pineapple and pork comes together in this recipe without the fuss and long cooking times – throw it in your crockpot before work and come home to a stress-free Fix-friendly meal. Crock Pot Chana Masala (Frugal Bites). Break out of your typical flavor profile with this accessible and easy Indian dish. Combine your ingredients, set your crockpot, and enjoy the aromas and flavors of India, right in your dining room. Spaghetti Squash Lasagna (Confessions of a Fit Foodie). 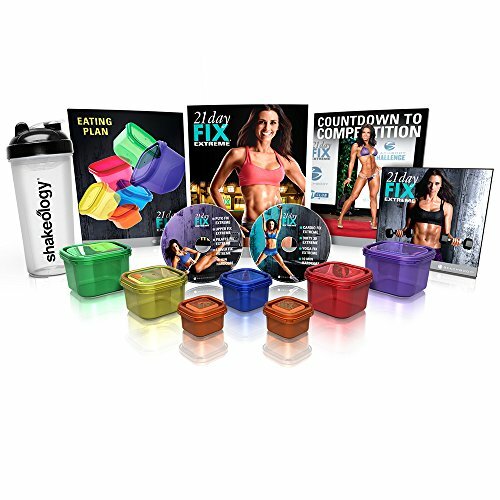 Did you think you’d have to give up lasagna forever when you joined the 21-Day Fix lifestyle? Think again. By swapping noodles for veggies this dish won’t weigh you down and fits your containers. Score. Wild Rice and Chicken Bake (Kendra Fletcher Fitness). Kids and parents alike won’t be able to resist this creamy and satisfying dish. 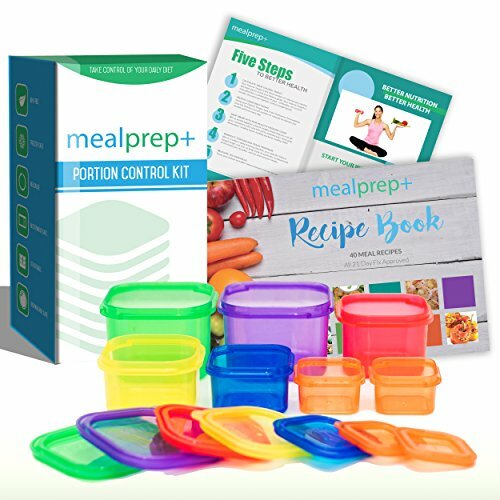 Prep is simple – just combine, bake, and eat! Buffalo Chicken Pasta (From Fork to Fitness). While not the same as a plate of heavy and greasy wings, the flavors of your favorite buffalo chicken are alive in this dish. You may just never go back. Italian Stuffed Peppers (Confessions of a Fit Foodie). There is something about an entire meal in one package that is both appealing and adorable. These stuffed peppers will fill any craving you have – make them again and again. Healthy Big Mac In a Bowl (Adventures of a Shrinking Princess). The Big Mac won’t fit into your containers, no matter how hard you try. Luckily, this recipe recreates a guilty pleasure into something that won’t destroy your diet. Meatloaf Muffins (Lisahov’s Health & Fitness). Don’t fear meatloaf, make it into a muffin! Loaded with veggies these tiny versions of your favorite will fill you and your entire family up. Crispy Fish Bites with Lemon-Shallot Dipping Sauce (The Foodie and the Fix). Even non-fish lovers will have a hard time resisting these oven baked bites in a stunning sauce. Halibut Fra Diavolo (The Foodie and the Fix). This 30-minute fish dish plays well with the strong intense heat of red pepper flakes – can you take it? Pared with a crisp white wine, try this one for Valentine’s Day. Baked Coconut Shrimp (The Garlic Diaries). Shrimp is the perfect weeknight meal – satisfying and done in mere minutes. With a squeeze of lemon to finish, you’ll be licking your fingers in no time.